One of the worst things you can do is get emotionally attached to a piece of property, especially when you are buying. When the haggling drags on, you’ll find yourself upping the bid well beyond what you can afford (or make money on). Do yourself a favor and set emotion aside, and keep in mind that it is just business, and there are many other deals out there to be had. Real estate is a local game, and the only thing that matters is what comparable properties in the area are selling for. As a seller, you can’t expect to get much more than this. As a buyer, you’ll want to know what this number is, so that you can set an upper limit on your bid before you even start the negotiation. This can help you to stay away from emotion, and only bid up to your maximum price. This one is a bit tricky, and agents often get in the way of effectively judging what the other party may do. But anything you can find out about them is good, and can help you to know how to negotiate. For buyers, if you know that the seller must move due to relocation, you can probably start off quite a bit lower, and still get their attention, and possibly a much better deal. For sellers, if you can watch your buyers reactions as they look at the property, and see that they love it, you can probably get them to spend a little more. Listings that are old can be a gold mine for buyers. Generally speaking, if a listing is around 180 days old, the seller is probably getting a bit anxious, and you might just have a great opportunity. For sellers, if you have been with an agent for this long, you might want to think about listing the property again with a different agent. Then the listing will show up as “new” in the MLS, and can generate some fresh traffic. In most cases, the more you know about the property, the agents involved, and the other principle party, the better chance you will have at being able to get the best possible price. 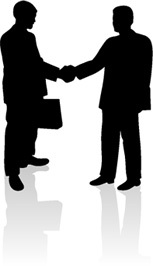 One of the most effective negotiating tactics boils down to one word, “No”. Saying no often leads the other party to come a lot closer, if not all the way, to where you want them to be on price. And if they don’t, just move on to another deal. Trust me, there are lots of them out there. Last, getting a real estate license can really help you maximize your real estate negotiations. It allows you, whether you are the seller or the buyer, to keep a piece of the total commission paid on the deal, thus allowing you to adjust your numbers according. After my first couple of deals, I learned just how important having a license was to long term real estate success.